paper | Wedding apparel and Party ! It’s been said that creativity is 1 percent inspiration and 99 percent perspiration. Buffalo High School Senior Allison Handberg can attest to that. For her Arts Magnet Program senior project Allison chose to make a dress to reflect her interest in fashion design. 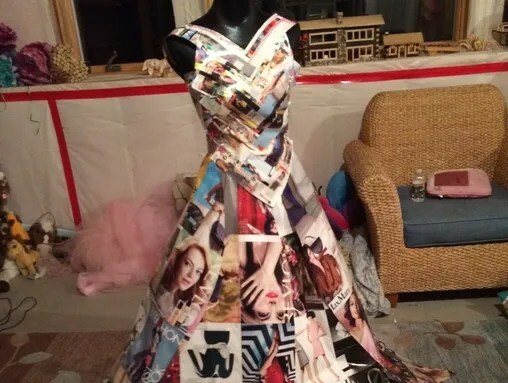 We’re not talking any dress here, but one made from the pages of magazines. Allison did persevere, proving to herself that she has what it takes to peruse her dreams in fashion and apparel design. “I never gave up and I have fallen in love with the final outcome which isn’t the original design I had planned, but just as beautiful!” she said.